Before getting involved with the company, it is important to read a comprehensive USANA review. 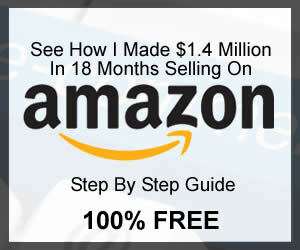 This gives you valuable insight regarding what the company is about and if they are legitimate. Here you will learn about the different elements of USANA. You will also be able to determine if there is a USANA scam or a USANA pyramid scheme. USANA is a company that sells a variety of nutritional products, skincare products and dietary supplements. They do this using a multilevel marketing business model. The independent distributors pay a fee to gain access to the products that the company sells. They are present in approximately 19 countries throughout the world. The independent distributors, sometimes called associates, earn money by selling the company’s products. They can also earn by recruiting independent distributors. USANA’s products were founded with a vision to help people around the world be free of disease and pain. They seem to use very high quality ingredient for their products. They have developed what they call “InCelligence Technology“. This means their products deliver nutrients which help to activate your body’s natural ability to respond to stress. These nutrients speak your cells’ language. The vast majority of USANA product reviews are positive which means consumers and distributors seem to say they deliver what they promise. USANA uses a multi-level marketing business model. This means that independent distributors can create a downline by recruiting other people to work as independent distributors under them. The independent distributors make money when they sell products. They also earn a portion of the sales made by their downline. Any detailed USANA review should include information about the company’s history. Myron Wentz, a microbiologist and immunologist, founded USANA in 1992. He had a vision of a world free of suffering, pain, and disease. The company has been based in West Valley City, Utah ever since. From 2004 to 2006, the company was listed as one of the “200 Best Small Companies” by Forbes. However, this changed in 2007. 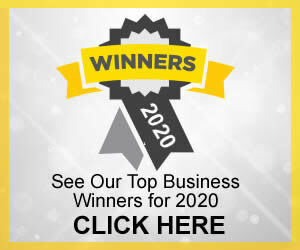 They were not put on this list during this year due to government and industry experts questioning USANA’s products and business practices. In 2007, further controversy occurred. It was discovered that multiple USANA executives made false statements about the different qualifications that they held. This includes Ladd McNamara, a sales associate who claimed to be a medical doctor. It was discovered that his medical license had been previously revoked. USANA has faced lawsuits. For example, one class action lawsuit was going after the company for endless chain, concealment, unfair business practices and false advertising. This lawsuit was filed in San Diego County in California for issues starting in 1995. As of 2018, people can still become independent distributors for the company. They appear to still be working toward further expansion in the global market. This part of this USANA review will explore how the independent distributor opportunity works. This is a typical direct sales and multilevel marketing company. To earn money, associates must sell the products to ensure that their downline is actively selling products. How Much Does USANA Cost? This part of this USANA review looks at the costs associated with being an independent distributor. To get started as an independent distributor, you have to pay $29.95. This fee covers the cost of the welcome kit that the company provides to independent distributors. This does not include products. Only business information. To earn money on sales, you have to actually purchase the products first and then sell them. The investment made into the products varies greatly. Ultimately, it depends on the products you buy and the overall quantity. Those who choose to pursue selling USANA full-time may incur additional expenses throughout the year. For example, if you set up a website, you are responsible for any costs and fees associated with running it. USANA does state that those who decide to stop being an independent distributor within 30 days of signing up can get a full refund for any products they purchased. The refund includes the cost of unopened and opened products and the welcome kit. Shipping fees are not refunded. How Much Money Can Be Made with USANA? This is one of the most important elements of this USANA review. It provides important information to help you to determine if there is a USANA scam or USANA pyramid scheme. These figures show the percentage of distributors who earned specific amounts of money during 2016. It shows that the majority of distributors made nothing. Of those who did have earnings, the majority earned less than $500 for the year of 2016. You can read all of these figures HERE. USANA states that in 2016 in the United States, there were 42,549 active independent distributors. The website further states that most people join the company to get the products at a discount and not to earn compensation or build a sales organization. They state that the potential profit for this specific product is $10.60. They say that this is after the independent distributor passes along the tax and shipping fees to the consumer. The above example is based on an 18 percent profit. USANA recommends that independent distributors mark up their products by 10 percent when they sell them to consumers. So, this would theoretically provide a 10 percent profit if the consumer pays shipping and taxes. The 18 percent profit is based on the independent distributor paying the auto order price. Should they not use this option, the profits would be less. These numbers are based on a single bottle of USANA CellSentials. Compensation is based on a point system. Once someone gets to a predetermined number, they are eligible for payment. If they do not meet this number for the week, the points roll over into the next week. It states that to be eligible for compensation, independent distributors must buy at least a 100-minimum volume of products every four weeks. In US dollars, this is the equivalent of approximately $110 to $130 every four weeks. 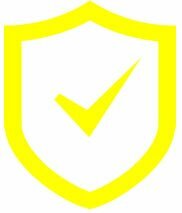 If an independent distributor does not meet the minimum purchase requirements, they can lose points that they have earned if these points have not yet paid out. This equals a loss in compensation. USANA has three stars on SiteJabber. This is based on two reviews at the time of this writing. One USANA review on this website appears to be from a consumer. They appear to be satisfied with the products. However, they do state that their urine became a green color by using the products. The second review states that there were multiple red flags and they feel that a USANA scam is possible. They say that the company forces independent distributors to pay at least $125 monthly. They further state that the company meetings are full of get rich stories. We are not saying we agree with these USANA reviews, we are just listing here what we have found on the SiteJabber website. USANA has four stars on TrustPilot at the time of this writing. This is based on four reviews. 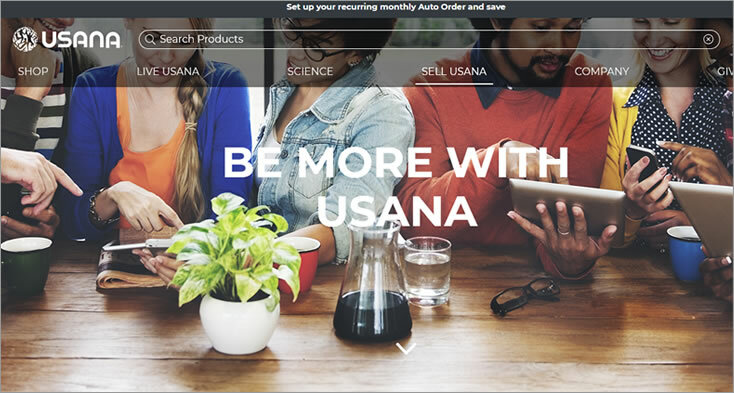 Those who left a USANA review on this website appear to all be consumers of the products. There are no reviews from independent distributors. The consumers appear to be largely happy with the quality and efficacy of the products. One review states that they have used the products for 10 years and that they are happy with them. USANA is accredited by the Better Business Bureau. Even some independent distributors appear to have registered themselves with this organization. There does not appear to be much information about this company on the Better Business Bureau website. As for the independent distributors who have registered, their ratings vary. Several people have left a USANA review on RipOffReport. One review says that they believe there is a USANA scam and USANA pyramid scheme. This reviewer says that while the company appears to operate legally, they are treading a fine line. He says the products are overpriced and very difficult to sell. He says that sponsors make their downline feel like failures if they do not sell the products quickly. This reviewer also states that his sponsor told him to just take the supplements instead of seeing a doctor during times of illness. Another review cites a USANA scam. They state that the company tried to convince them to give the company a lot of money. They say that the company promised high earnings. This review also says that the company manipulates their independent distributors. Of course we are not saying we agree with these USANA reviews, we are just reiterating what some of these reviews state. USANA has multiple pages on Facebook. Some of the independent distributors also have their own pages on this website. The actual corporate page on Facebook has a 4.7 out of five stars from 8,017 USANA reviews at the time of this writing. The reviews and comments on Facebook are from both consumers and independent distributors. It seems that the majority of the reviews are from consumers. The consumer reviews are largely positive and say the products are high in quality. There are a few reviews that make mention of a possible USANA scam or USANA pyramid scheme. These are all from people who claim to be former independent distributors for the company. USANA has several pages on Indeed.com. The majority of the reviews are from people who work for the corporate office. These reviewers appear to be mostly satisfied as an employee of the company. There are multiple pages for USANA on Glassdoor. The star totals range from one star to 4.8 stars at the time of this writing. Most reviewers on this website are employees of the corporate office. They appear mostly happy working as an employee of this company. A few reviews state that the corporate office does have a high turnover rate. These reviewers often cite poor communication and arbitrary deadlines for employees as the reason for dissatisfaction and leaving the company. Is There a USANA Scam? Whether or not there is a USANA scam ultimately depends on who you ask. Many former associates felt that they were deceived by the company regarding potential earnings. Looking at the company directly, there DOES NOT appear to be any USANA scam. They do not promise quick or long-term wealth on their website. In recent years, they have become more transparent regarding earning potential for independent distributors. They do offer refunds within 30 days of signing up if you decide to stop selling the products. Most reviews state that they did receive their refunds as promised. The history of the company does have a lot of controversy but so do many successful direct sales companies. Many experts and government officials have stated that they feel that the company does have deceitful business practices. Investigations have been done. This includes one in 2007 by the US Securities and Exchange Commission. This specific investigation was an informal inquiry. The cause of this investigation was due to a Fraud Discovery Institute report. USANA sued the author of the report for libel. Is There a USANA Pyramid Scheme? There does not appear to be a USANA pyramid scheme. However, Dr. Murray H. Smith, a statistician for the New Zealand government, states that you could make the argument that a USANA pyramid scheme is possible. His statements are largely based on the company’s business model. Multilevel marketing is often confused as a pyramid scheme. This is because independent distributors have a chance to create a downline to make more money. This concludes this detailed USANA review. Like most multi-level marketing businesses, the majority of people do not make much money. Is this a result of the business being a scam or pyramid scheme? Not necessarily. Many people who get into direct sales, network marketing, or multi-level marketing simply do not put in much effort. There have been several investigations into the business practices of USANA and they have never been found liable. So, we feel that it’s clear that there is no USANA scam and there is no USANA pyramid scheme. Even so, we can’t give this business our full recommendation but, we do recommend it with caution. Just know if you don’t put in the hard work you will not make much money. Herbalife Review – Is Herbalife A Pyramid Scheme And Scam?